“Painting is the way I recreate and re-live observations and experiences.” Creating an atmosphere, a world, where harmony exists between nature and the man- made, Pete Groves’ paintings have a lyrical quality that conjures a reality far from the austerity of the everyday. 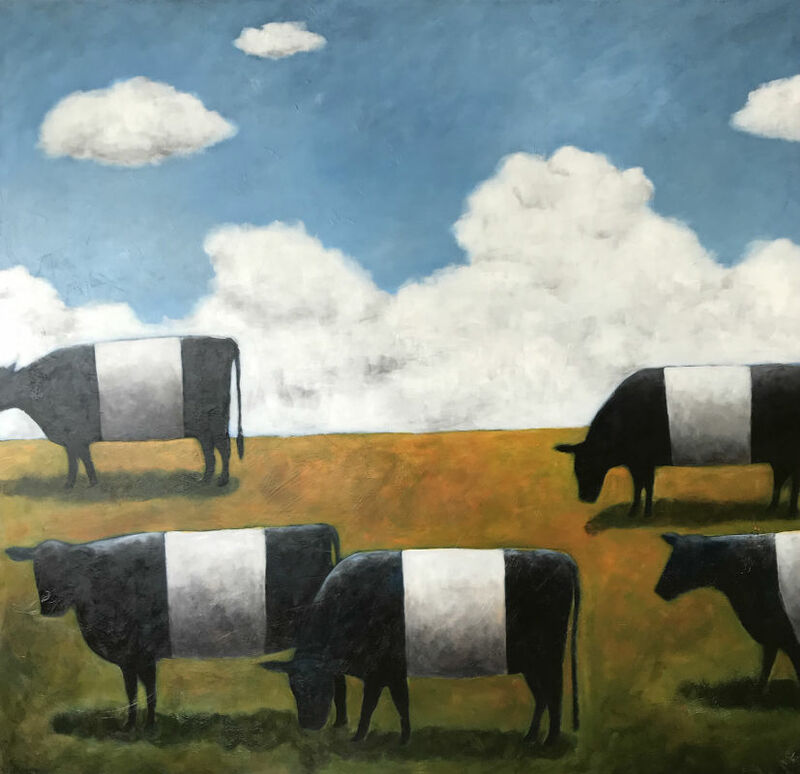 As well as exhibiting in numerous successful solo and selected group exhibitions for the past 29 years, Pete has painted numerous murals, theatre sets, illustrated for childrens books, wine labels, posters and book covers. Pete’s work is represented in private collections in Australia, the USA, Japan and London, including the BHP Billiton London collection. Princess Margaret Hospital for Children,Western Australia. Southern Health Art gallery, Monash Medical Centre.